A Bird Hunter's Thoughts: Review: A Cooler for the Bears? Engel. I've been hearing rumblings about these "super coolers" that keep food cold for 10 days. Right, I'm thinking, 10 days in Alaska, in the shade, in the Fall. 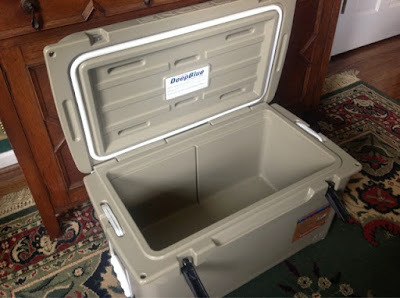 I did some research with my friend in the research business, Google, and discovered several coolers make the claim of keeping food cold for several days, some even up to 10 days. Yeti, Engel, Coleman and some others are making super insulated coolers for fishing boats and camping. Yeti, from what I hear, is the benchmark of the crowd- and the most expensive. The size shown, by Yeti, might run to $350+, depending on where you get it. I did like my kids and went to YouTube for a little investigation and found an interesting video comparing four high end coolers side by side for an "apples to apples" comparison. 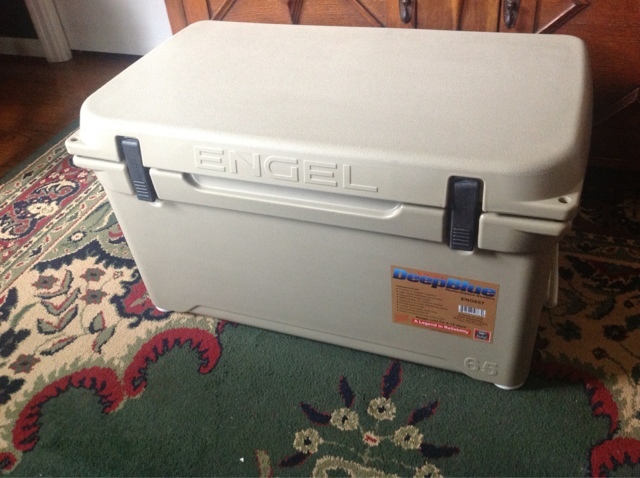 At the end of the day (or week), the Engel Cooler (shown) did as well or better than any of the others. It wasn't the cheapest, by far, but it maintained the temperature near or at the top of the rankings and was about $100 cheaper than the others. I got it off Amazon and got free shipping, as well. You can see the stickers on the cooler informing you that this thing is airtight and to not put live things in it and expect them to live. Also, it has the added benefit of being "Grizzly Bear proof", just in case you have a Grizzly Bear problem near the soccer and baseball fields where you are tailgating. Actually, I find that to be a good thing, since I will be in bear country hunting Ruffs and Blue Grouse. I will test this one extensively this coming season and will let you know of any problems. I'm looking forward to keeping my birds frozen for the two day ride home this year!